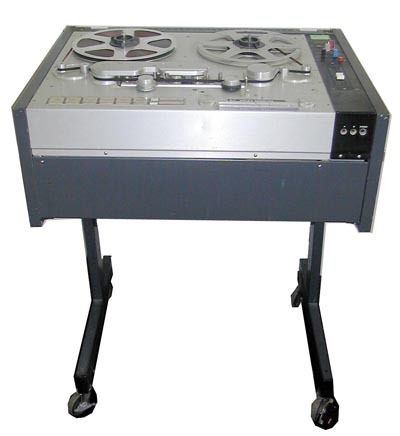 Revox/ Studer PR99 tape recorder, high quality machine, two track, two speed, tracks can be switched to record or play individually. Much better than usual ex BBC PR99s which often have controls removed and full-width erase. Good working order. Lyrec "Fred' (Free-Editor) quarter inch tape player. Designed for editing, acurate counter and built-in speaker. Working order, well used but good solidly made professional equipment. Studer A80 Master Recorder. 2 track, quarter inch audio recorder. 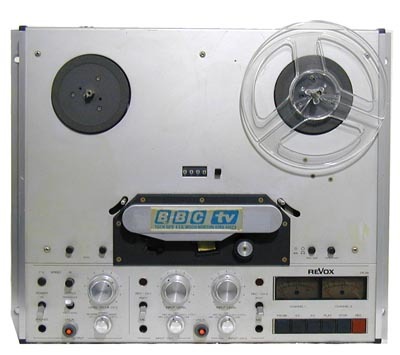 One of the best tape machines ever made, used in recording and broadcasting studios the world over. This is a very good clean machine, working order, 7.5/15 IPS with NAB spool adaptors. Ex BBC, does not have metering or level controls. Dansette usually made cheap and cheerful record players but this one has a touch of class- push pull ECl82 amplifier with good sized transformers, Garrard autochanger. Two-tone rexine cabinet in grey and cream. Just overhauled and fitted with a new cartridge and stylus. Works very well.